These simple comments can undermine your child's success. Are you guilty? 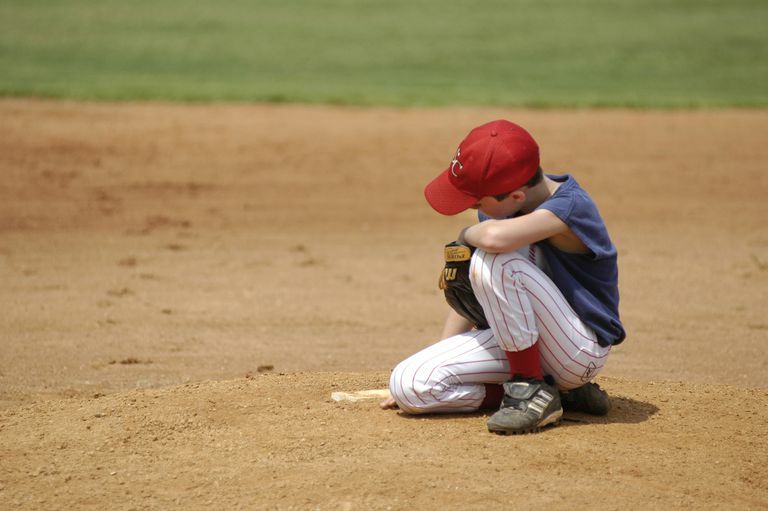 It's not always easy to be a supportive parent to a sports kid. What's the best way to help your young athlete grow and develop? How much are you supposed to do, and what do you leave to the coach? For starters, you can avoid these all-too-common statements that turn out to be more harmful than helpful. Well-meaning adults say this to kids all the time, right? That's why it's meaningless and could even have a negative effect. Not what you intended at all! "Good job" sounds hollow, even to kids. They can tell that you're just saying it because you want to offer up some praise. And it doesn't feel good to receive praise you haven't earned. So save the praise for situations that merit it, and then explain what you mean: "I noticed that you really worked hard during that drill" or "Nice catch! Your practice really paid off." Don't Say: "Why Didn't You..."
With this phrase, you're noticing what your kid did, but not in a good way. You're picking out shortfalls instead of opportunities for improvement. Let's say your basketball player needs to work on her dribble. "Instead of saying 'your dribbling skills are weak' or 'you shouldn't try to dribble out there,' try saying 'You know, with a little dedicated effort on your dribbling skills you would have a really well-rounded overall game,'" says Jordan Fliegel, the founder of CoachUp (a private sports coaching company). "The message is the same," Fliegel continues, "but the delivery is very different." Don't Say: "That Ref Should Have..."
Red alert! Officials are there to help keep everyone safe and playing by the rules, so sports are fun and fair. And most of the time, they are volunteers—or getting paid so little they might as well be. So it's not good sportsmanship to hassle them from the stands (95 percent of youth sports coaches surveyed by CoachUp say they've heard this!). Knocking them down later in private isn't any better. It sets a poor example for your child, and allows him to avoid taking responsibility for mistakes he or his team really did make. Don't Say: "How Come Your Coach Can't..."
Just like the refs, coaches are participating in youth sports because they love the game. It's definitely not for the big bucks. But they are the leaders here, so stand back and let them lead. Your child needs you to be unconditionally supportive. That won't happen if she feels caught in a conflict between her coach's advice and her parent's. Don't Say: "I Can't Believe Your Teammate..."
Fliegel has this advice for coaches, and it applies to parents too: "Never say anything negative about one of your players to another player. Not only is it non-productive, but it damages the social strength of the team." That's not good for your sports kid or his teammates. Did you enjoy practice? What part of it? Did you learn anything? What did you learn? I noticed you working hard, putting in great effort. I am proud of how hard you are trying. I saw you encouraging a teammate, that made me feel proud of you. I noticed that after the other team scored, you had the courage to keep trying.